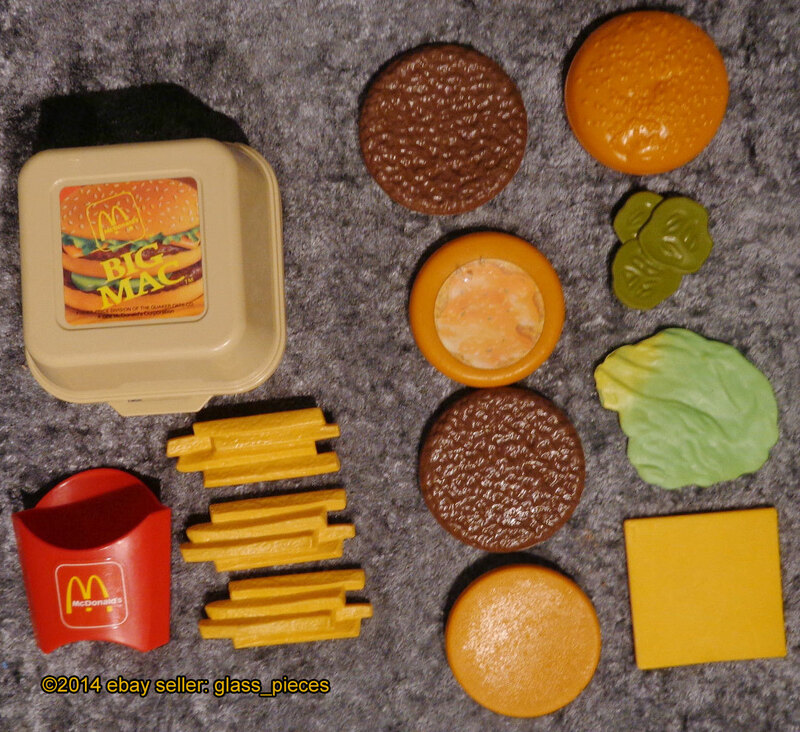 Description: This is a McDonald's® pretend food set that includes a Big Mac Meal with a Big Mac and fries. Designed for children ages 3 to 7 years old. 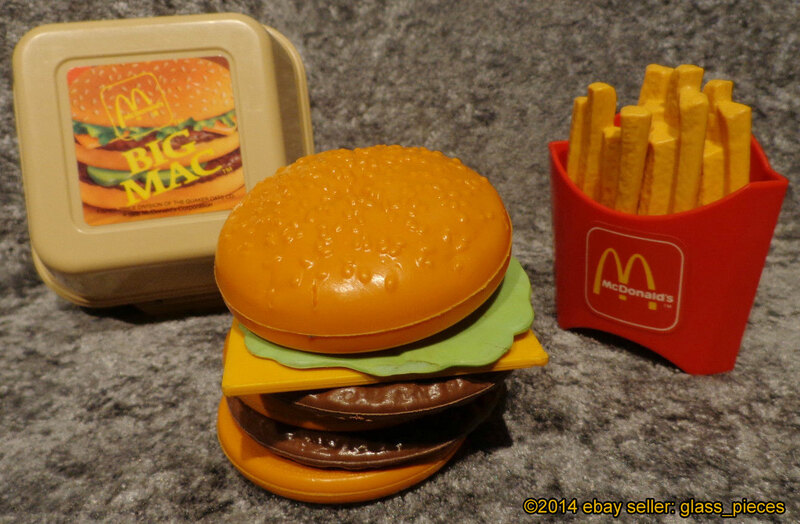 FPT7049 - Tan square plastic hinged "styrofoam" McDonald's Big Mac container with a picture of a Big Mac on the top. This looks exactly like the container a real Big Mac is sold in at a McDonald's restaurant. FPT7044 - Round light brown top hamburger bun with lots of molded sesame seeds on top. The edges of the bun have a mold seam. The bottom of the bun has a "spongy" molded texture. FPT7050 - Round light brown middle hamburger bun for a McDonald's Big Mac. This middle bun does not have a crust edge on the top or bottom. It does have a crust edge on the sides. One side of the bun has a litho picture of Big Mac special sauce. FPT7022 - Light brown bottom hamburger bun with a rounded recessed area in the top middle. The top has a "spongy" texture and the bottom is smooth. The edges of the bun have a seam mold. 2 each - FPT7023 - Round dark brown hamburger patty with a mold seam on the edges and textured "hamburger" on both sides. FPT7051 - Light green flexable plastic lettuce leaf that is flat with rippled lettuce vein textures on both sides. FPT7052 - Square yellowish-orange thin slice of cheese. 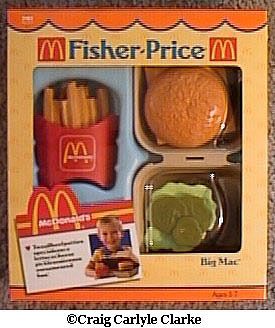 FPT7053 - This set was sold in a 8-7/8" long, 9-7/8" high, 2-7/8" deep display box.